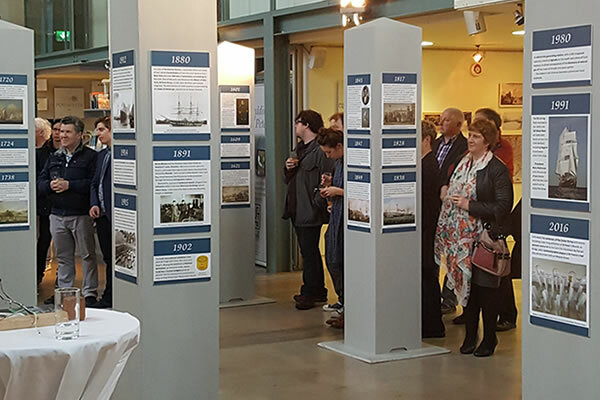 It was a pleasure working with everyone at The Hidden Story on 'A City on the Sea', a maritime history of Cork, which is now on show at St Peter's Cork. From the early stages of the project planning to the delivery on our launch night they were professional, accessible and 100% reliable. The team at The Hidden Story are easy to talk to and generous with their advice and experience. They worked tirelessly to ensure the visual delivery and content of the exhibition met our expectations from the planning stage. The final product exceeded our expectations and we'd be happy to recommend The Hidden Story to our industry colleagues. We would certainly work with them in the future. County Kilkenny LEADER Partnership engaged the team at 'The Hidden Story' to carry out tourism destination feasibility work in the Lingaun Valley region. Jacqui, Turtle and Siobhán were very professional in their approach and were successful in engaging communities and businesses in this process. Our objectives were achieved and we believe the out-coming Action Plan provides an excellent roadmap for this region as it seeks to maximise its rural tourism potential and promote its ancient and sacred sites under the Ireland's Ancient East brand. We would be happy to recommend the team at 'The Hidden Story'.